Edinburgh-based investment giant Standard Life Aberdeen is in talks with Saudi Arabia about starting one or more investment vehicles that would be seeded by the kingdom’s sovereign wealth fund and could raise billions of dollars, according to a Bloomberg News report. Citing “people familiar with the matter” the report said that under the proposal, Standard Life Aberdeen would manage the funds, which would be topped up by money from other investors. 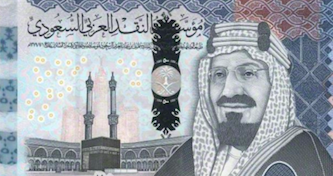 Standard Life Aberdeen, which has assets under management and administration of £610 billion, is considering opening an office in Riyadh to manage the new funds, the report said. Meanwhile, the Global Sustainability CIC announced the appointment of Aberdeen Standard Investments as investment manager of The Global Sustainability Trust (GST). The GST is planning to raise £200 million. Martin Gilbert, co-chief executive of Aberdeen Standard Investments, said: “We are delighted to be appointed as investment manager of The Global Sustainability Trust plc. “We have an established track record as an asset manager that has integrated environmental, social and governance considerations across our investment processes for all asset classes. “We have one of the broadest private markets teams around the world, allowing us to identify and access the most compelling opportunities, projects and initiatives that the sustainability sector can offer.